According to the function of hydraulic valves can be divided into three categories, the flow control valve (including throttle valve, control valve, diversion valve), hydraulics directional control valve (including one-way valve and valve), pressure control valve (including overflow valve, relief valve, sequence valve, relief valve, pressure relay). According to the operation mode, the hydraulic valve can be divided into manual, pedal, motor, electric, spring control, hydraulic, electro-hydraulic, hydraulic pilot control, etc.. The installation of hydraulic valves are mainly divided into 5 types, which is, pipe type, plate type, plate type, stack type, cartridge type, flange type. The inlet and outlet ports of the pipe valves are provided with internal threads, which are connected with pipelines and other components through a connected pipe joint. Chip valve also known as multiway valve, is developed from the pipe type manual reversing valve: a control panel with a spool valve to control a set of actuators – hydraulic cylinder or hydraulic motor. The oil port connecting plate valve is not directly on the valve, but on the baseplate, the valve is fixed on the baseplate by bolts. The stack valve is the extension, expansion and integration of the plate valve. The cartridge valve can be seen as a valve that does not wear a coat because they do not have a housing and must be installed in a valve block or manifold. 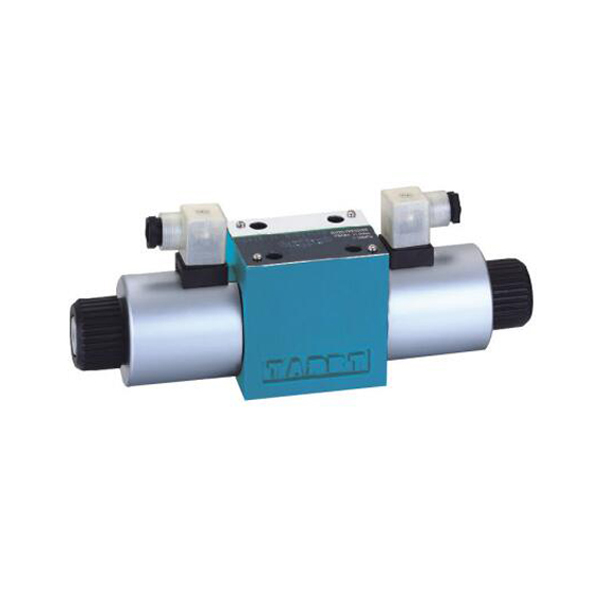 BSTIND is a professional manufacturer of solenoid directional valve,high quality and Chinese factory price for B2B customers.Quick delivery,bulk purchasing,reply in 24H. Four-port solenoid operated directional control Vickers DG4V5 valves with four-land spool design,so as to to facilitate of smooth, and response to variable speeds. AC and DC wet-armature solenoid options with ISO 4400 (DIN 43650) electrical connections and manual overrides. More spool types:with spring-offset, spring-centered and detented arrangements. AC or DC-voltage models is suitable for petroleum oils, water-in-oil (invert) emulsions or phosphate esters. AC-voltage models can be used on water glycols.